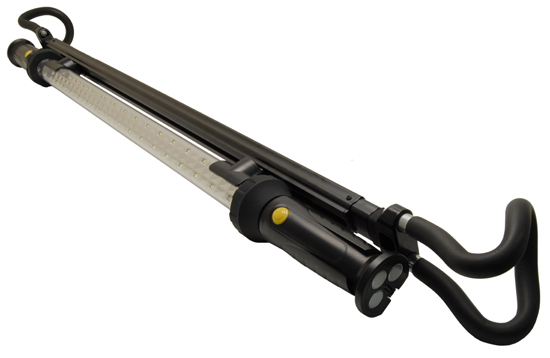 The Claw LED Rechargeable Auto Detailing Light is one of the most versatile on the market! This efficient light is able to hook, hang, or magnetically stick to just about any steel surface. Equipped with spring loaded grips, The Claw LED Rechargeable Auto Detailing Light is able to adjust fron 48-77 inches with allows it to hang across a vehicle's interior, illuminating the work area. Dual Brightness Modes ensures that you have the correct amount of light for your application. The Rechargeable battery operates for up to 6 hours on a single charge!